Applying a vacuum to a small area of skin forces the subcutaneous capillary beds at that area to open. 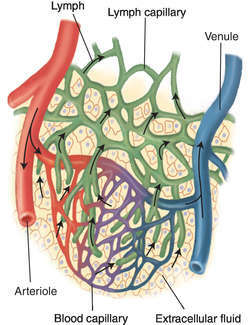 Only a small fraction (about 2%-3%) of the active hormone is released from these binding components in the capillary beds into the interstitial space and tissues. Normally, megakaryocytes do not gain access to the systemic circulation, but instead fragment into platelets as they pass through the pulmonary capillary beds. 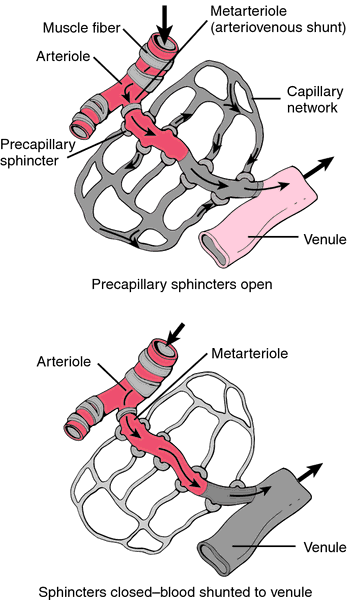 Although this is a significantly lower pressure than present in the systemic circulation, this pressure is higher than that in the glomerular capillary bed. 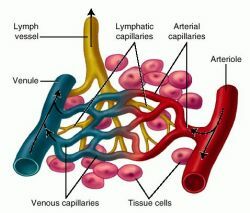 This did not exclude the possibility, however, that arterial blood entering the capillaries might have a higher concentration of bioavailable progesterone that off-loads into capillary beds, where it enters and is retained by interstitial tissues and target cells. 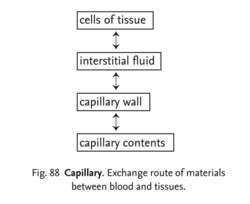 First, there are two capillary beds in series, the glomerular capillary bed and peritubular capillary bed. The tiny reactor holds up to 50,000 liver cells distributed among 40 identical units that each resemble the capillary bed, or network, of a tissue.